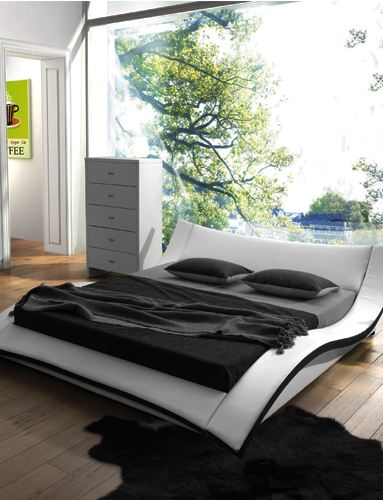 Ergonomics in Bedroom: Decoding the key to a healthier lifestyle. Did you Know? A person spends 210 to 240 hours a month in their bedroom just for sleeping. If you add the hours they relax in the room it will be more than 300 hours. It is equivalent t0 12.5 days, which is just less than half a month. So, a room of such importance should be very aesthetically pleasing and be of top-level comfort. But, Alas, not every one of our bedrooms is designed ergonomically. Here are some changes you can make to transform your bedroom into a pleasant & comfortable space. Waking up every day, do you feel groggy or even tired? This might be because the mattress that you sleep on is not designed to minimize the discomfort or aid in supporting you while sleeping. We at Furniture Coast to Coast, support your online furniture shopping hunt to make nice changes or additions to your bedroom. With Cutting-edge technologies, we manufacture high-quality Mattresses. When we mean cutting-edge, we not only mean about the latest technology we use but also the machine-cutting manufacturing process. It allows us to maintain perfect dimensions as demanded by the customers. Made up of 6 layers, the mattress actually has 5-inch layers of the firm foam base and an inch layer of memory foam to give plush experience on a solid-based mattress. So, making an investment on a good mattress is actually an investment you make on yourselves. Studies show that a person who has had a good night’s sleep will be double or even triple more productive than a person who didn’t have a good night’s sleep. The Headboard is a piece of furniture that can be bought separately or together with a bed. It drastically improves the aesthetics of the bedroom, while serving various purposes like providing comfort, and support to the pillows. Comfort: Do you wonder, when you sit up against the pillows and watch the television in your bedroom and feel that unexplainable discomfort? Since the pillows are not firm, when you sit back against them they become squishy. This is where the Headboard comes to the rescue. When a headboard is installed on your bed, then you can sit back against it and have a relaxing and cosy time enjoying your movies/series. Support: It is quite a hard time when the pillows fall down every time you snuggle during sleeping. A headboard provides stern post and thereby supports the pillows and aids you sleep peacefully. At our Furniture Coast to Coast Online Furniture shop, you can find headboards fitting for all sizes of bed. They are extremely ergonomic and provides absolute ease to just sit back and enjoy the night. Manufactured with wood and filled with foam for firmness and upholstered with linen, to give the luxurious feel. Many underestimate the importance of a Nightstand. Waking up every day, the first thing that you see is the Nightstand. Here are some key points that you should consider while scouring for a good quality nightstand. Minimalism: The Nightstands should serve a purpose of making you comfortable. It is not there for decoration. However, you can find a one that well matches your bed and make it visually appealing. Storage: Storage space is a must for the nightstands. Stock some important things like flashlight, chargers, books, medicines and even some snacks to much when the night-time hunger strikes. Lamp: A night lamp on the stand is an obvious thing that should be in everyone’s bedroom. It illuminates at correct need and gives a new look for the room. At our online Furniture shop, you can find a broad range of nightstands that will beyond doubt suit your bed. Choose the perfect one according to your customization.